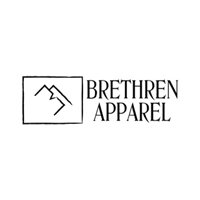 Brethren Apparel is a family born company, known largely for the Thug Rug Snowboarding Hood, the brainchild of brother & sister duo Chris & Aisling. Heavily influenced by skateboard and snowboard cultures and with a focus on people over profit and quality over quantity, Brethren Strive to be an ethical company. If you find yourself more at home enjoying the mountain air or the smooth trannies of the skateboard then welcome to the brotherhood.